NOTE: It was just announced that Matthew Hedges has been pardoned by the Emir of the UAE. While we celebrate this news, he is still leaving as a convicted spy without any evidence, and both the chilling effect on future research as well as the weak response of the international university community to such intimidation and repression, remain of great concern. We thus are still asking people to sign the petition as a way to keep up pressure on the government and on our universities to stand up for academic freedom and human rights. 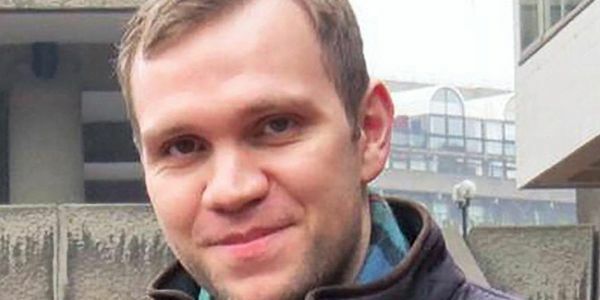 We, the undersigned higher education professionals and students of the international academic community, who work in the Middle East and North Africa region or are concerned about our colleagues who do so, declare our horror and disgust at the life sentence handed down against Durham University PhD student Matthew Hedges by a UAE appeals court after a five-minute session. We call upon the UAE authorities immediately to release Mr. Hedges and allow him to continue his studies unimpeded or return to the UK, and to issue concrete and verifiable policies to protect the academic freedom, human rights, and due process of all students, scholars and academic staff working and studying in the UAE, regardless of nationality or identity. We are equally dismayed at the so far lackluster if not cowering response of the foreign university community in the UAE to this verdict. We call upon the leadership of these universities to strongly condemn this verdict, demand Mr. Hedges's immediate release, and after it is secured put concrete pressure on the UAE leadership to respect academic freedom and the right to study, teach and research without fear of censorship, reprisals, arrest, prosecution and/or violence by the government. We further call upon these universities to declare that they will suspend their operations in the Emirates if Hedges is not released and clear-cut policies towards academic freedom are not put in place to ensure the safety, security and freedom of the scholarly community in the Emirates. 3) suspend and/or refuse to begin new collaborative research, lectures, teaching, research supervision, refereeing or other activities at any campus of these universities in or outside the UAE as long as their administrations are not demanding the immediate release of Mr. Hedges and declaring their intention to suspend activities if his release does not occur and appropriate academic freedom guarantees and reforms put in place for the future. In a world in which academic freedom and human rights more broadly are under unprecedented attack by political and religious leaders, with grave costs for the global academic community, the above steps are the least any of us in the position to act can take. We encourage our colleagues to join us and work together to pressure the UAE and governments across the Middle East and North Africa, and globally, to respect fundamental international norms and laws regarding academic freedom and human rights, and in their absence, to ensure that universities operating there demand the same standards of academic freedom and free expression as they would in their home countries. NOTE: Please add your academic affiliation to the box asking "Why is this important to you?"